Before I married and left home, this was one of the regular meals I liked to cook for my family. I cook it so infrequently now that my kids didn’t even remember having it before. My younger son kept asking, “What are we having for dinner again?” Poor kid, his least favorite vegetable is bell pepper. He told me he tried and tried to get as much down as he could but they were making him gag. I told him not to worry, that I bought plenty of broccoli, cauliflower, and tomatoes for him. Those are his favorites. 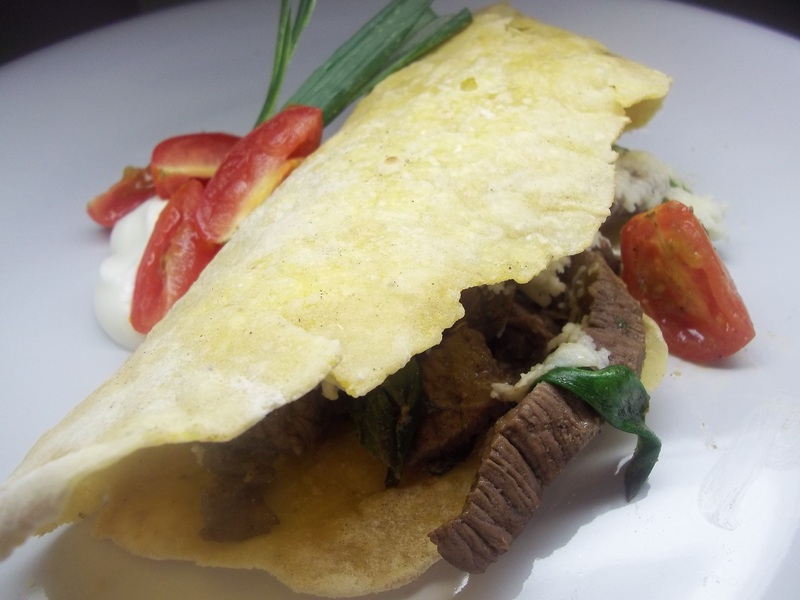 These were delicious on Iron Grilled Cornmeal Tortillas. Mine are so misshapen because I don’t have a tortilla press, but I think that makes them a little more interesting. I have used all kinds of steak in this recipe and even rump roast, cooked only to medium to keep it tender. This is a good way to use flank steak, too, but when I use flank steak, I marinate it and sear it in one piece and thinly slice it before serving. 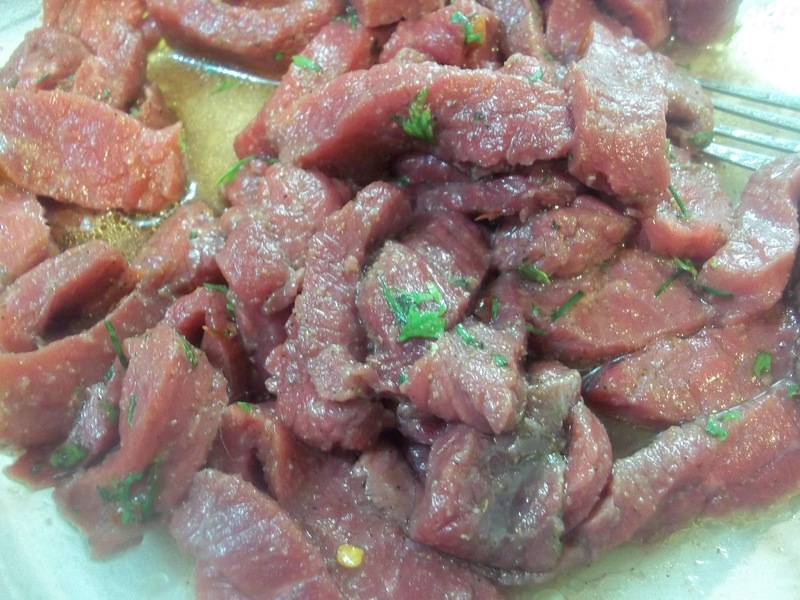 Combine all marinade ingredients in a shallow casserole dish. 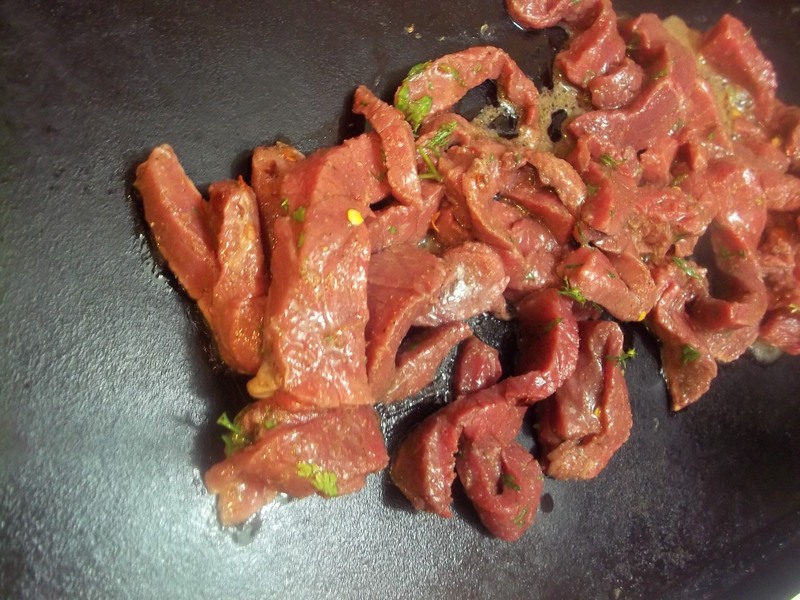 Place beef slices into marinade and toss to coat. Marinate, covered in refrigerator for at least 30 minutes. 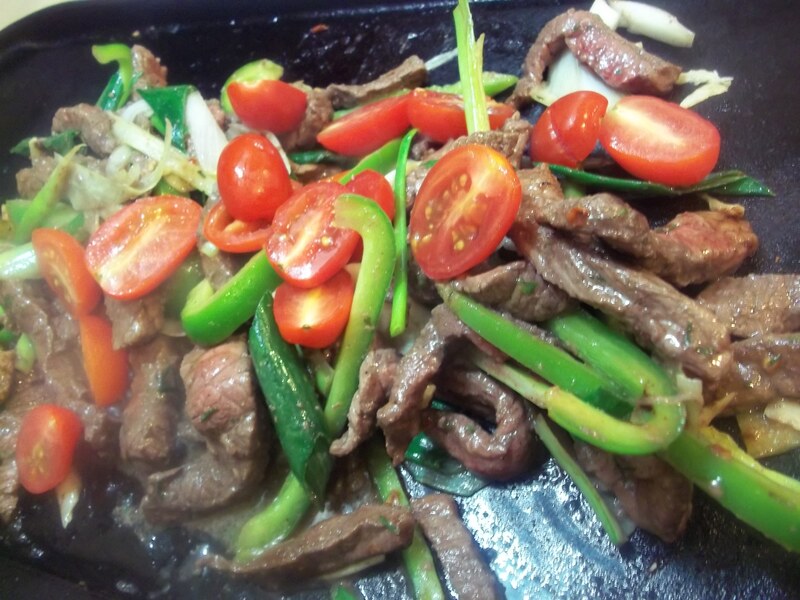 Heat iron griddle or large skillet over high heat and sear meat until almost done. Add vegetables and cook until meat reaches desired doneness and vegetables are softened. 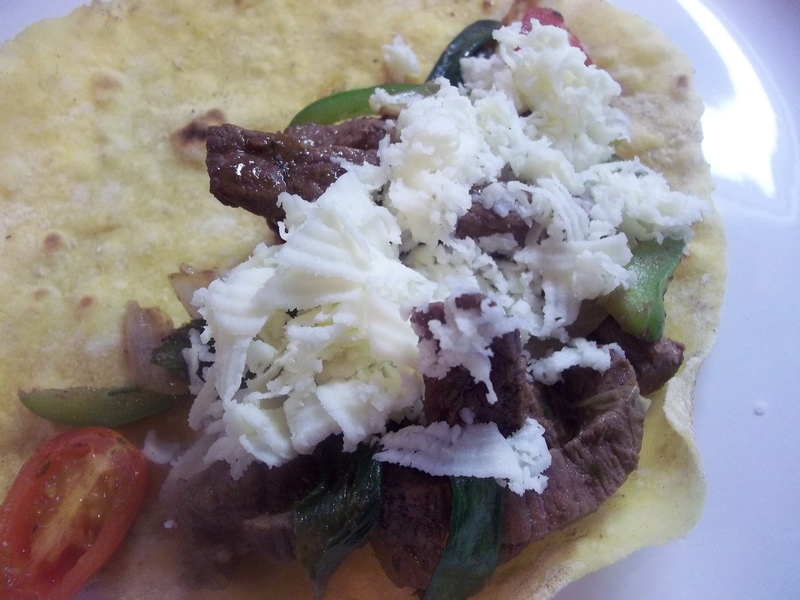 Portion onto tortilla halves, cover with cheese and immediately fold other half of tortilla over to allow cheese to melt. Note: For a low-fat version of this dish, omit sour cream or use fat-free yogurt or low fat sour cream, use 2 T grated parmesan or mozzarella cheese in place of Jack.